Christmas is the season to give and remember those who we hold special and dear to our hearts. Now you loved ones are able to be remembered and honored with family and friends. This makes for a special celebration for all to enjoy and feel closer to those who are not with us. laughing and enjoying the Christmas festivities it can also be a time of great sadness without our loved one with us. So now you can celebrate and honor them with burning your very own My Angel in the Sky Candle on the Christmas table or place it in a prominent place with your favorite decorations and family photos. 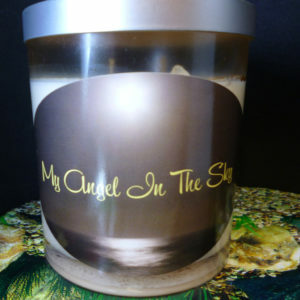 This is a very special candle designed to celebrate and honor our loved ones. Who are no long with us and are looking after us from above. 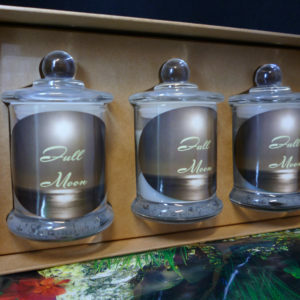 This Candle is for when you want to feel closer to your loved ones. To celebrate a special occasion with our loved ones as if they were here with us. 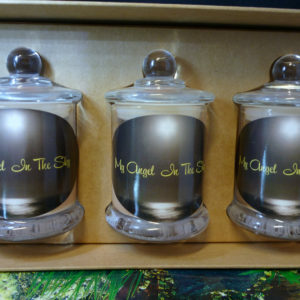 Perfect way to honor our loved ones with this center piece on any table or occasion. Take the time to remember our special lost loved ones – Gone But Never Forgotten. 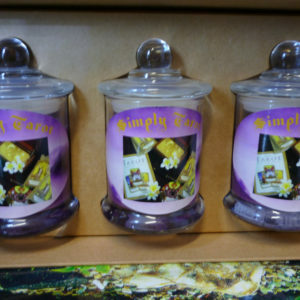 Calm and peaceful is how this candle makes you feel. As you draw the loving energy from above and feel here love. 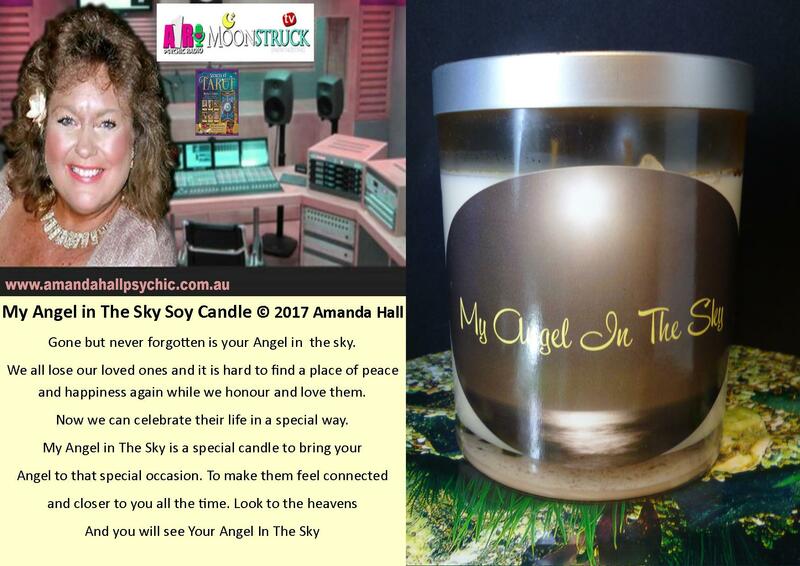 My Angel in the Sky is a celebration of our loved ones and the Candle brings them closer to us. Open yourself to many possibility of where love an be found from beyond this plane. 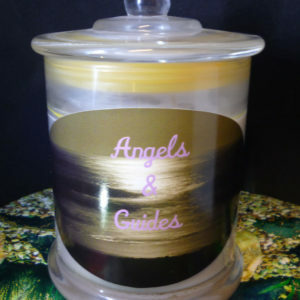 Candle in glass container with lid perfect for any home. 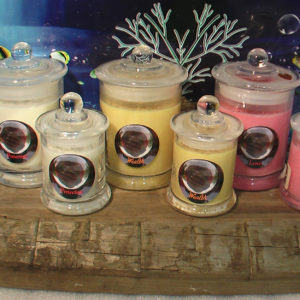 X Large 60 hours approx burn time with your home/space smelling and feeling divine. Each hand poured with love. Change your energy and draw the love you want towards you from your loved one who have departed. 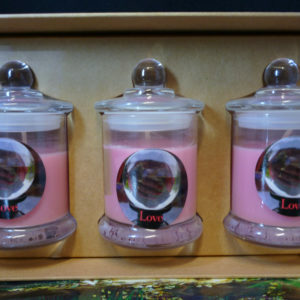 Write on piece of paper what you would like to attract more love into your life and place under candle. Gerry Crow You should be proud Amanda! spiritual, magical and healing properties. 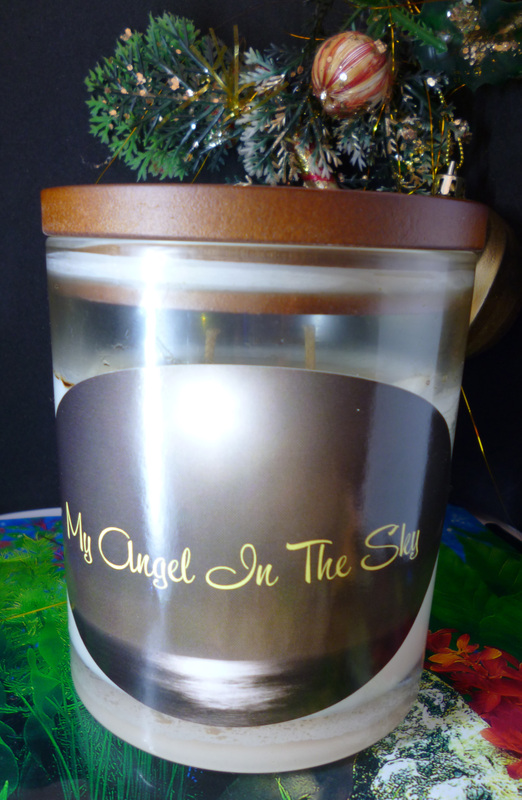 beautiful Healing candle that you gave me. 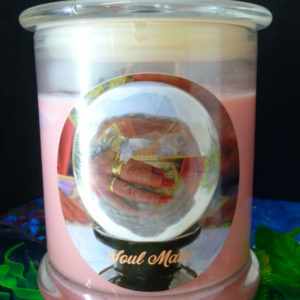 As soon as I lit it I had the vision of an ancient medicine woman.